Town Farm Camping & Caravanning Site is situated in an Area of Outstanding Beauty, nestled in the foot of Ivinghoe Beacon in the Chiltern Hills. With an abundance of local pubs, outdoor activities and scenic walks – you can decide how busy or restful your stay with us will be. For more information about facilities in our local area, please click on a link below. Based in a beautiful Victorian school building in Ivinghoe. Indoor/Outdoor Seating. Children’s play area and open lawn just a stone’s throw away, an ideal place for visitors of all ages. The Haldi, Pitstone (0.7 miles – 2 minute drive), 01296 662204/661223: Local indian restaurant in between Ivinghoe and Pitstone. Takeaway/deliver/eat in. Pick Your Own – Fresh Fruit & Veg –(1.3 miles – 3 minute drive away) LU79DZ . Open around mid-June to October. Excellent family day out – fantastic local produce! GoApe – Wendover – (6 miles – 15 minute drive) HP225NF. Adrenalin filled high wire adventure course through the Chiltern woodlands! Once a chalk quarry, College Lake is now one of the Berks, Bucks & Oxon Wildlife Trust’s flagship nature reserves. This thriving nature reserve now supports more than 1,000 different wildlife species. An eco-visitor centre and café with stunning views of the lakes also opened recently. Mead Open Farm, Billington, LU79JH. Approx 10 mins. Children’s farm park with large indoor play-barn, and café. 600 acres of exhibitions and free roaming animals set atop the Chiltern Hills. The oldest windmill in the country (circa 1627) is a local landmark. Get up close with the animals from the comfort of your car! Home of the Harry Potter Studio tour – book ahead! Rental and delivery available. Guided tours from Berkhamsted from June-August. Visit the castle, enjoy a cream tea, museums, country houses and a vineyard. Ashridge (National Trust) – This estate of woodland, commonland and downland covers 6 square miles and runs along the edge of the Chiltern ridge. Outdoor tea room on site. Built in 1874, this historic country home boasts elaborate architecture, tranquil gardens and a collection of paintings, sculptures and arts. Ronnie Sunshines, Berkhamsted (7.5 miles – 20 minute drive) HP41EG. Indoor air rifle shooting range, test your skills on over 100 targets over 5 lanes. Gun Hire & Tuition available. Grand Union Canal: Lots of walks along the canal, the closest being Marsworth, with parking and a tea room. Ridgeway Path: Perhaps Britain’s oldest road, the stunning chalkland trail runs 87 miles from Overton Hill near Avebury to our very own Ivinghoe Beacon! 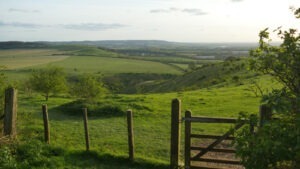 Wendover Woods – Stunning woodland trails, picnic and BBQ areas with views over the Vale of Aylesbury. Café on site. Lovely village of Wendover nearby. Chiltern Cycleway, a 170 mile circular cycle route through the Chilterns Area of Outstanding Natural Beauty, taking in the best of Chilterns scenery. Hastoe Riding School, Tring – One hour hacking rides, pen rides for children also available. Rock Lane Riding, Ivinghoe Aston – 01525 222402 Riding lessons for children age 4 and up, adults welcome too. Liscombe Park, Soulbury – Hacking rides (£23.50 adult / £21.50 children).